Happy National Poetry Month! 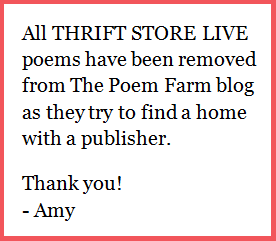 This April 2014, I will be writing and posting a new THRIFT STORE poem, live, each day. 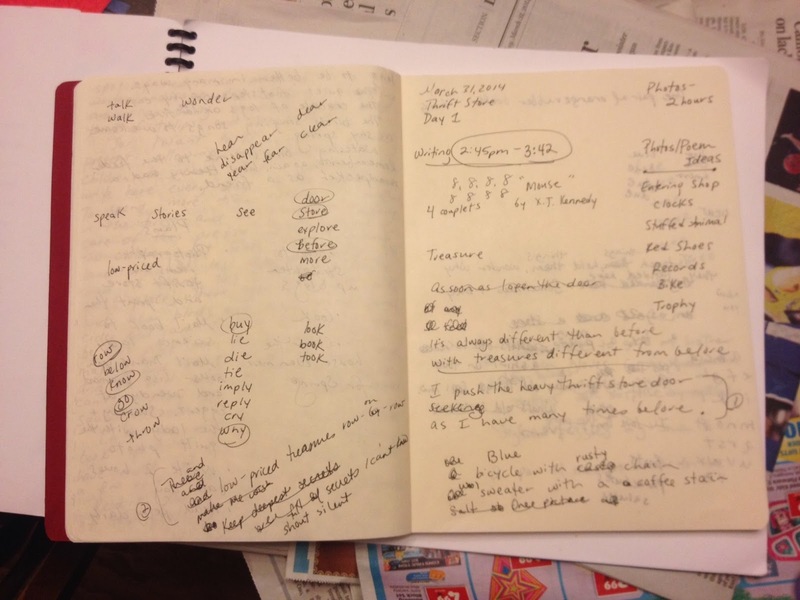 You'll see the drafts as they grow, my thoughts about writing a collection, revisions, and planning. My hope is that by month's end, I will have a collection of poems worth revising and someday, worth submitting as a book. Each day I will tell you how long the poemdraft took me to write, and most days the I will have written it the day before. (Disclaimer - Due to travel and work, there may be a few variations in actual writing time.) I do this for me, for a month of writing fun, and also with a hope that it may be interesting to a few classrooms of young writers. I welcome your comments and invite you to join me in taking one topic to explore for several days. Students - Here are my drafts from yesterday. This poemdraft took about one hour to write, from 2:45pm - 3:42pm on Monday, March 31, 2014. I began by sitting on my living room couch with a copy of X.J. Kennedy's THE BEASTS OF BETHLEHEM (1992), illustrated by Michael McCurdy. Truthfully, I was a wee bit nervous on the eve of National Poetry Month, having committed to such a public project on a topic that matters dearly to me. 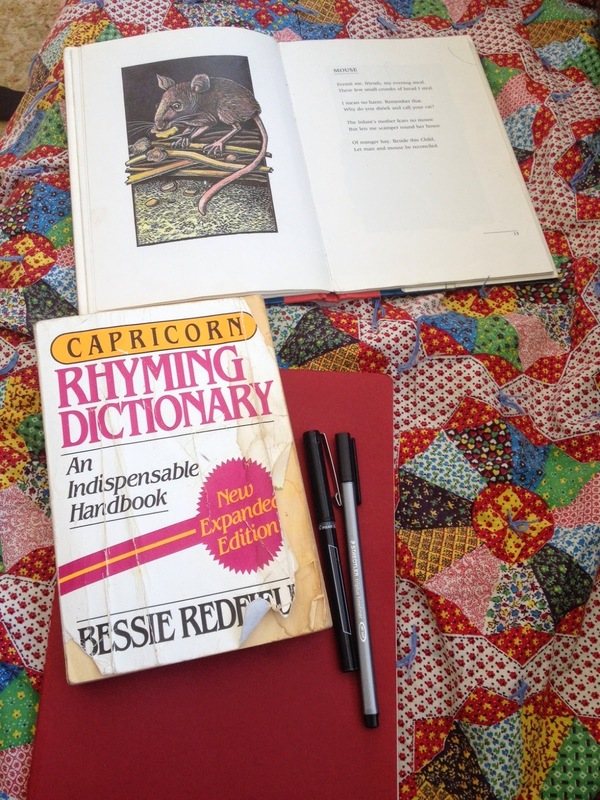 But I took refuge in Kennedy's poem - "Mouse" - relying heavily on its rhyme scheme and meter to get me started. If you study his poem, you will see where mine differs, and you will find the two lines of my poem that only have seven syllables instead of eight. What do you notice about the way the lines of today's verse rhyme? You may also notice that the second stanza of today's poem is simply a list. If you have FOREST HAS A SONG, you will be able to find a couple of other poems with such embedded lists. I like them. 1. I cross out. A LOT. 2. I often write the alphabet to help me find rhyming words that make sense. 3. I write all over the place, and it's pretty messy. Some of you may be wondering why or how I chose this topic? Well, I am a thrift store shopper. On any given day, half of what I am wearing comes from a thrift store. Much of my furniture was purchased at thrift stores. I love the stories and the mysteries and the hunt of shopping in thrift stores...not to mention the prices! 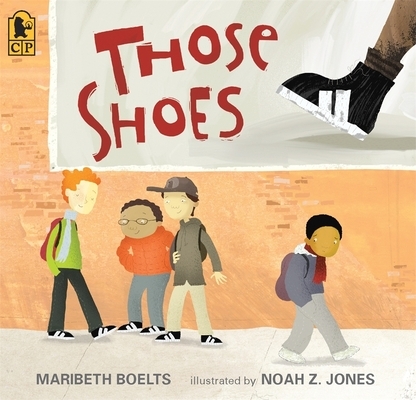 One of my favorite books is THOSE SHOES, by Maribeth Boelts, a book that celebrates thrift store shopping. And just this winter, I had the experience of asking a six-year-old girl where she had gotten her beautiful vintage Barbie doll. She would not tell me. When she walked away, her teacher explained that this girl was embarrassed because her grandma had purchased the Barbie doll at a thrift store. She did not want her classmates to know, and so kept quiet when I asked. Later, when I shared with the class how I had built a great shoe collection thanks to my obsession with thrift stores, the young girl, all smiles, whispered in my ear, "That's where my doll came from!" 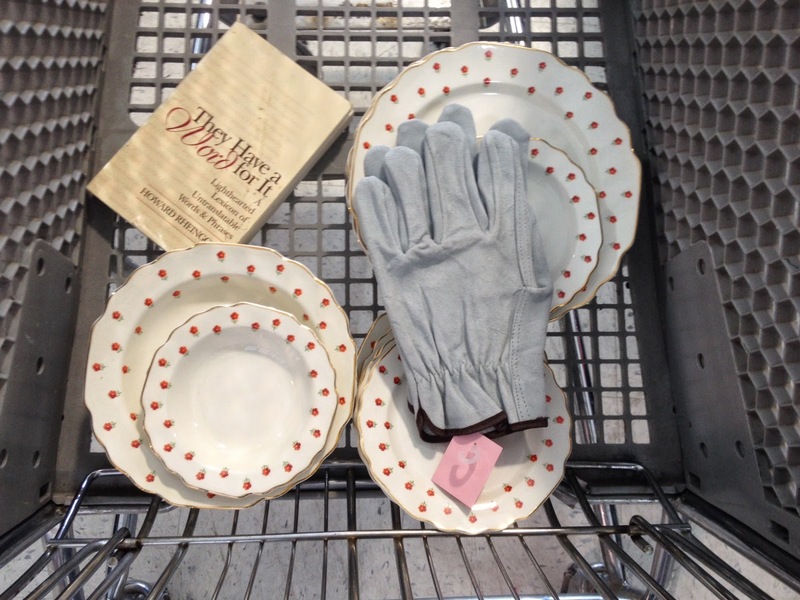 No one should feel embarrassed about shopping at thrift stores. Thrift stores are fantastic! So I choose to make them my April project. Yay for reusing wonderful things! Yay for saving money! Yay for stories! Yesterday, I visited two thrift stores, taking many photographs to get me through at least the next week. It was fun to look with this new eye, as usually my thrift store time is spent simply shopping. Yesterday I looked for possibile poems, not just possible deals. But, of course, I found some deals too. 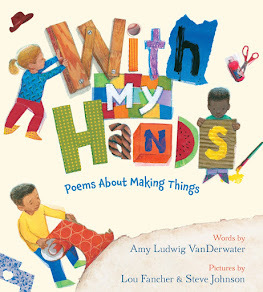 To find all kinds of poetry happenings in the Kidlitosphere this month, visit Jama's cozy home on the web, Jama's Alphabet Soup. She has a list! Happy happy National Poetry Month! May you find poems under your feet and in your heart, all month long. I love this project already! I learn so much from you and what you share... plus I love reading your poetry, too. I can't wait to see April unfolding here! Really like the row-on-row wording. ... made me think "In Flanders' Fields.." Thanks Amy! Oh, this collection is going to be just fabulous! And already you are inspiring me to do more shopping at thrift stores!! Amy, Love this first poem, and especially love hearing the stories behind it. I rarely buy anything new, in fact, the big joke in my family is, "Don't call the Goodwill until you have called Carol." Can't wait to read the rest of this series- a new book in the making?? P.S. I always read THOSE SHOES to my students in December. It's my favorite Christmas book. 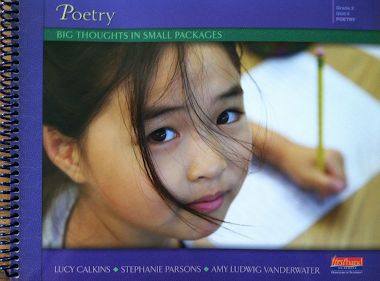 Amy, I featured your site on my first posting about poetry on our school website. "It's Poetry Month! As the self-appointed IMS ambassador for poetry, I'll share some great poetry links with you this month. 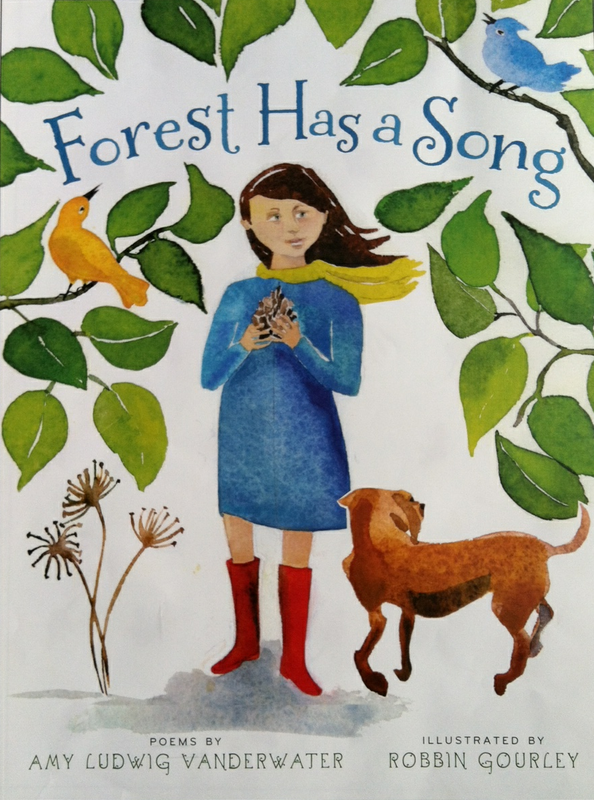 Amy Ludwig Vanderwater, the author of Forest Has a Song, has an incredible site. 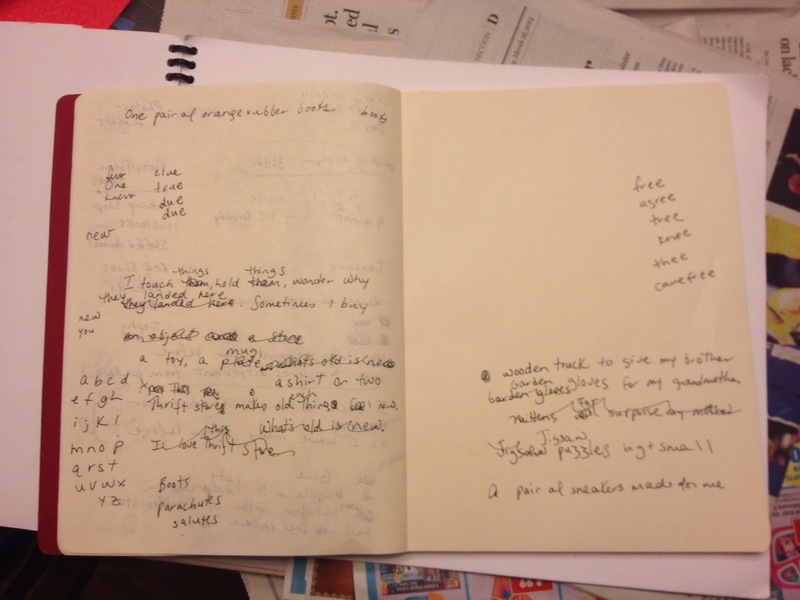 Join her this month as she writes and posts a new THRIFT STORE poem, live, each day. Don't miss the Find Poetry tab to explore poetry by topic and technique. When I attended her session at the All Write conference last summer, I was enthralled. She's lovely and you'll love her site!" This sounds like a fun project, Amy. I'm looking forward to following along. What a fun idea! I am loving your journey already. I especially love the way you are sharing your drafts. In often draft on my computer, losing the picture of the process (and sometimes some fabulous words/lines). I am looking forward to sharing these glimpses with my young writers. Every time I stop by your blog I leave inspired! 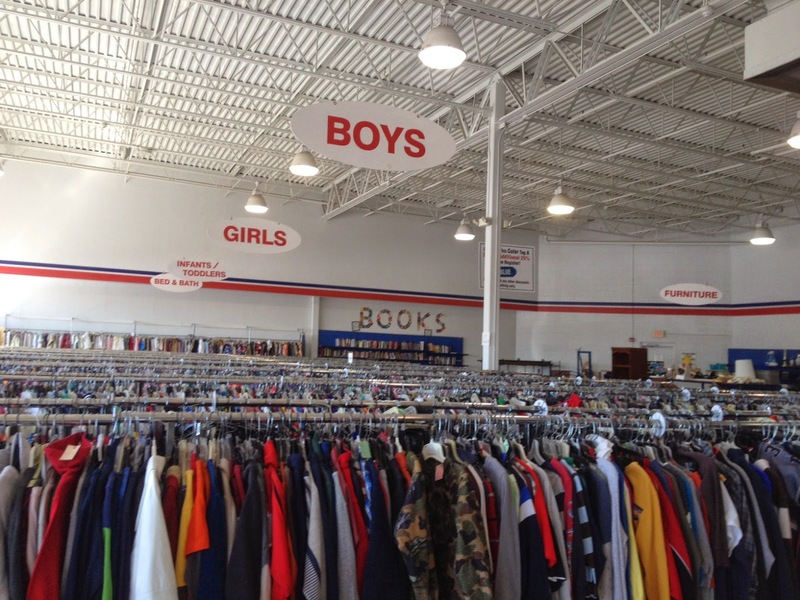 Well, you had me at "Thrift Store"-- love me some bargain shopping! Your story about the vintage Barbie is quite a find as well. Thank you for sharing your process so openly this month and I look forward to watching your collection unfold. I visit a couple of thrift stores often, looking for several different things, & then browse a bit. This is lovely Amy. I've used Those Shoes several times with young classes to get them talking about point of view especially. It's a beautiful book! Thanks for starting with a terrific idea! Looking forward to more! Amy, I am so excited that we will get to see your process over the month. I am the Queen of Goodwill, literally that is my queen name for a group of women called the Berry Queens. All of my dresses for the annual ball are second-hand. I want to write more rhyming poetry. I'm just so bad at it. But I see you using models. Why have I never thought of that? This will rock. No doubt! i love this project. I have been thinking about my thirty poems and what kind of theme to have. I love that you have poetry books to get you started. 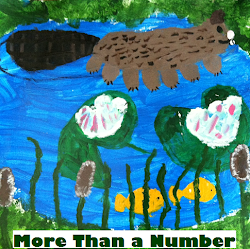 This is a great project and will open minds of a lot of little readers. I love the story of the girl and her doll. What a big favor you did for her that day. Thanks for working through this so publicly. I know I will learn a great deal. I look forward to tagging along on your thrift store shopping experiences. I enjoy finding a new use for something old more than buying something new. Love this series already. Thrift stores are a fabulous pool of poetic muse. I am heading to one today! You've piqued my curiosity and I am on the hunt for a little table! Love your idea and your poem writing explanations not to mention Earth Day is in April. Just loved your April 3rd poem about mason jars. I'm way behind and working backwards. Will share with my adopted third graders tomorrow. 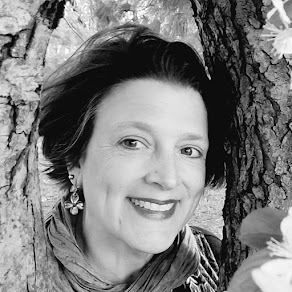 Coming to Poetry Month a wee bit tardy…shh! The important piece is I am here, we are here! I am looking forward to sharing many of your ideas with my young poets. Considering a lively game of Poetry Tag where poems are posted on a poetry tree. OR… maybe a student a day brings in a item to inspire our poetry like your thrift story poetry, guess we could say "Home Spun Poetry" Off to plan so MANY inspirations here on your site!